Moving house can be a complex process, with many different things to remember but in the end, it will, of course, be worth it. If you have decided to buy one of the homes for sale Belton, TX then you will have to think about how you’ll get there, how you’ll move your things, etc. If you find yourself struggling with finding a good moving company, the best thing that you can do is do some research. If you would like to save some time then you could visit 9Kilo.com Moving website to give you a better idea of what type of company you should get. However, one thing you don’t want is to be lumbered with an expensive tariff in your new house, or end up still paying for the tariff in your old house. This guide advises you on contacting your gas, electricity and water companies. You need to inform your current utilities supplier that you plan to move at least 48 hours in advance. You should tell them the date of your move and your new address so that they can send you a final bill. Your supplier will arrange a final meter reading or ask you to take one on the day of your move. 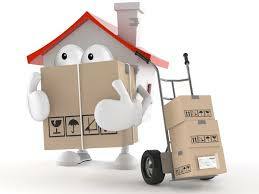 Remember to do this before the removal van hire arrives, as you don’t want to have to come back! Most water companies will have an online form which you can use to let them know about your move, whether you are moving in or out of their area. 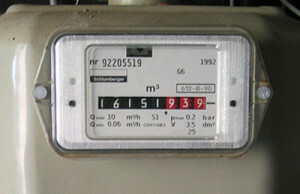 You should take a meter reading on your last day in your current home in order to avoid being overcharged for your final bill. Once you have done this, you should pass on the information to your supplier and take note of it for your own records. You will receive a final statement of what you owe after you move. If your property is rented, you should take note of your meter readings and confirm them with your landlord before you leave. It may also be a good idea to let the new occupants of your home know who currently supplies the utilities: you can do this by leaving a note or informing your landlord/letting agent. Note: If you move house without paying a bill, it becomes a debt after 28 days and the supplier may be eligible to take further action to recover the money. To avoid this happening, ensure you give your old supplier a forwarding address to send your bill to. When you first move into a property, be sure to take meter readings. When you first move to a new home you will automatically be placed on something called a ‘deemed contract’ with the energy company who has been supplying the property until you move in. You will need to take meter readings and give these to the existing supplier of your property. 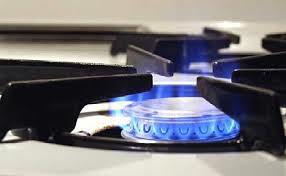 To find out who supplies the gas, call the meter number helpline. For electricity, contact the local electricity distribution company. If your new house has a prepayment meter, you will need to arrange for a top up card or key to be delivered to you. You cannot use the previous owners key or card as it means that any gas or electricity that you use will be credited to their account rather than one of your own. When you give the existing company your meter readings, they will generally create a new account for you and place you on a ‘standard tariff’. For water companies, a supplier is allocated to each area, so you do not have to choose a supplier. Being placed on a standard tariff by the property’s current supplier may be convenient, but unfortunately it may mean that you are not getting the best deal for your money. To get the most out of your tariff, use USwitch or Which? 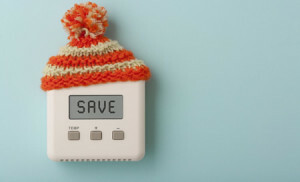 Switch to find the best energy deal for your home. Both of these sites take into account that you will not know how much gas/electricity your new property will use, so they make a prediction for you to base this on. If your new house is a rental property, check the small print on your lease or speak to the landlord to see if you are allowed to change energy suppliers. If not, you may still be eligible to save money by switching to a cheaper payment method or a different tariff. If you do decide to switch, it may be best to do this as soon as you move into the property, as switching can be a lengthy process, sometimes taking up to 21 days. Your new supplier may ask for proof of ownership or tenancy and check that you do not have any outstanding debts to any other energy suppliers. Some energy companies will be able to arrange a connection for you, but they may charge a fee for it in addition to charging for the work carried out to put in the connection. The distributor or transporter will give you a quote for the cost of the work and when you agree, this becomes a contract and you will usually pay at this stage. If you are moving home, the most important thing to take from this guide is that you MUST inform your current supplier and take meter readings before you leave. If you fail to do so, you could be overcharged and not paying your final bill could lead to debt collectors knocking at the door of your new property. So, although it can be difficult to remember all the things that you have to do when you move house, make informing your supplier and taking meter readings a necessity.